The spectrum of acute ischemic stroke (AIS) care begins well before the emergency room. EMS first responders are often the first to examine the patient and consider the diagnosis of stroke. There are multiple triage scores and systems in place to assist EMS. Options include the Cincinnati Prehospital Stroke Scale (CPSS), Face Arm Speech Test (FAST), Los Angeles Prehospital Stroke Screen (LAPSS), etc. Most of these scales focus on identifying common findings of subcortical strokes (facial droop, hemiparesis). In 2014, Spanish researchers created and published the Rapid Arterial Occlusion Evaluation (RACE) Scale, which included cortical, as well as subcortical, exam findings to aid with pre-hospital identification of patients with higher likelihood of having a large vessel occlusion (LVO). In addition to facial palsy and hemiparesis, the RACE scale also scores gaze deviation, aphasia, and agnosia. Clinical implications of the RACE scale are unclear. One ongoing clinical trial, RACECAT, is comparing direct transfer of patients with a high RACE score (> 4) to an endovascular center versus taking these patients to the closest acute stroke center (without endovascular capabilities) with subsequent “drip and ship” of patients determined to have an LVO. With those results not expected until 2020, Schlemm et al have implemented a conditional probabilistic model to calculate probabilities of good outcome (modified Rankin Scale ≤ 2 after 3 months) for triage of AIS patients with unknown vessel status to either a “mothership” approach (direct to endovascular center) or “drip and ship” approach. A conversation with Seung-Hoon Lee, MD, PhD, Professor of Neurology, Seoul National University Hospital, about the role of the susceptibility vessel sign on SWI to predict stroke subtype and recanalization. They will be discussing the paper, “Prediction of Stroke Subtype and Recanalization Using Susceptibility Vessel Sign on Susceptibility-Weighted Magnetic Resonance Imaging,” published in the June 2017 issue of Stroke. Dr. Merino: Could you please briefly describe the study and summarize the key findings, putting them into context of what was known before you did the study? Dr. Lee: I’m glad to talk about our research in this interview. Thrombi in the cerebral arteries appear hypointense on susceptibility-weighted MRI (SWMRI). We call them “the susceptibility vessel sign” (SVS). The methodological strength of this study is that SWI MRI is much more sensitive than GRE and thus can quantify the size of the SVS. In this study, we analyzed the relationship between the size of the SVS, the stroke mechanism, and whether successful recanalization occurred in patients receiving endovascular treatment. Cardiac emboli are large but fragile because they are rich in RBCs but have scant platelets. We hypothesized that because the SVS reflects the red blood cell component of the clot, patients with larger SVS are more likely to have a cardioembolic source and thus more likely to have successful recanalization. We found that as the SVS size increased, the probability of cardioembolic stroke was higher, but that SVS size did not show any positive or negative correlation with successful recanalization. This is probably due to the high recanalization rate with the stent-retrievers, irrespective of stroke etiology. No association between SVS size and recanalization can be partly explained by clot fragility in cardioembolic stroke. Time is brain, and we know it. Yet, stroke systems of care — particularly in the pre-hospital EMS domain — have yet to adapt to the latest and greatest in stroke: endovascular therapy (EVT). For every 8 or so patients treated with endovascular therapy, one patient achieves functional independence despite having suffered an acute, large-vessel occlusion (LVO).1 It behooves us, then, to develop stroke systems of care that deliver patients efficiently and rapidly to centers that provide EVT without compromising care for the remaining patients who would benefit from prompt IV-TPA. Everyone, from the AHA/ASA to endovascular therapy trialists, recognizes this need. On my count, this is at least the fifth publication in Stroke in 2017 that seeks to meet this need. Others have queried whether the direct-to-mothership model is superior to the drip-and-ship model,2 whether the volume of EVT cases at an individual center impacts outcomes,3 and whether computer modeling can be used to define the catchment area of a hub.4 This all boils down to the key quandary: How should EMS triage and transport patients from the field? Intracerebral hemorrhage (ICH) is a known complication of intravenous alteplase. The rates of symptomatic intracerebral hemorrhage following intravenous alteplase administration have varied between 1-4% depending on the definition used and the study. In this study, Drs. Connor et al analyze the association between multimodal CT imaging parameters, including NCCT hypo attenuation degree, vlCBV, impaired blood-brain barrier permeability surface product, clinical and laboratory data at baseline, early reperfusion status, and development of parenchymal hemorrhage (PH) on follow-up imaging. All patients received NCCT, CT angiography, and CT perfusion at baseline. A 24 to 48 hour scan (either NCCT or MRI) was obtained. Imaging analyses were performed by readers blinded to other imaging and patient outcomes. All NCCT were scored for ASPECTS scores, the degree of hypo attenuation within the ischemic region using a 3-point grading system. Functional parametric maps of cerebral blood flow (CBF), CBV, Tmax, and a modified CTP algorithm for permeability calculations were used. In this study, Spence and Solo demonstrated that measurement of LDL-C levels is likely inadequate to assess a patient’s response to statin therapy. In their database of 4512 patients with 2 measurements of LDL-C and 2 carotid duplex scans measuring total plaque area, they found that neither LDL-C levels nor change in LDL-C levels predicted carotid artery plaque burden or progression of plaque area. Interestingly, they found that in the 6% of patients with low LDL-C levels (<38mg/dL), almost half experienced progression of their plaque burden. In addition, they found that it was not uncommon for patients with LDL-C levels of over 70mg/dL to experience plaque regression. This suggests that merely relying on an LDL-C level to predict plaque burden is insufficient. There has been a longstanding debate on management of patients with carotid disease. In the ICSS study, patients were randomly assigned to Carotid Artery Stent (CAS) vs. Carotid Endarterectomy (CEA). CAS was related to higher peri-procedural stroke risk, but both therapies were equally effective in long-term stroke prevention. 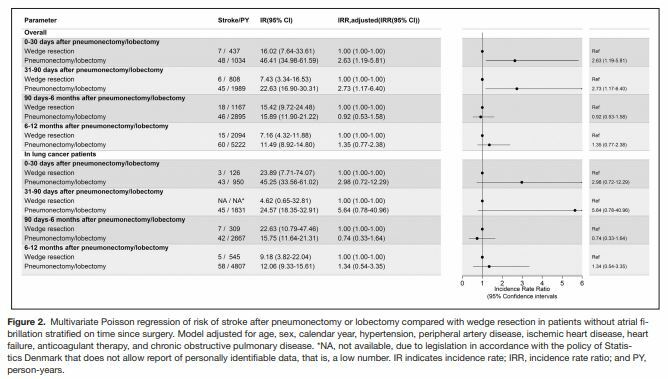 This study is a post-hoc analysis on a sub group of the ICSS study, providing the first randomized trial on vascular anatomy as an independent procedural risk factor for stroke during CAS and CEA. Studies have been completed assessing vascular anatomy for procedural risks with CAS, but none have compared the risk between CAS and CEA, making this study unique and its results invaluable. In the ICSS MRI subgroup, brain MRI was performed before and 1-3 days after CAS or CEA; primary outcome was new diffusion restricted lesions. Patients in this study underwent Contrast Enhanced Magnetic Resonance Angiography (CE- MRA) or Computed Tomographic Angiography (CTA) to define vascular anatomy. Vascular anatomy was objectified with measurable criteria. Aortic arches were divided into three types based on origins of supra aortic arteries, and angles between all large vessels were defined, as shown below in the images. The authors validated the inter-rater reliability on reading these anatomic parameters. Associations were made between the laterality, stenosis length and degree, plaque ulcerations and vasculature angles. There were 184 patients with vessel imaging; 97 were assigned to CAS, 87 to CEA. Procedural cerebral ischemia was found in 49 of the CAS group (51%), with only 14 after CEA (16%). After correcting for age, only two factors were found to be statistically significant in the CAS group—aortic arch configuration type 2 and 3, and larger ICA angulation (≥ 60 degrees). Heart failure has previously been identified in association with ischemic stroke, with previous literature citing thrombus formation, hypercoagulable state, endothelial dysfunction and impaired cerebral autoregulation as possible mechanisms underlying ischemia. Additionally, heart failure and stroke share several common etiological conditions, including hypertension and dyslipidemia (Stroke. 2011;42:2977-2982). However, the association between heart failure and hemorrhagic stroke, and the long-term implications of heart failure on all-stroke risk, remained to be clearly elucidated. Here, patients with heart failure (n = 289,353) were compared to an age and gender matched control group (n = 1,446,765), for the outcomes of ischemic stroke, intracerebral hemorrhage (ICH), and subarachnoid hemorrhage (SAH) evaluated at 30 days, 1 year, and 30 years, providing a far more extensive follow up than previous studies. Brain computer interfaces (BCIs) are defined as systems which take biological signal from a person and predict some abstract aspect of the person’s cognitive state. The goal of the BCI technology is to give severely paralyzed people a way to communicate. While BCIs can use several input-signals, including EEG, EMG, and fMRIs, the BCI technology developed for chronic stroke rehabilitation has been focused on demonstrating motor improvement with the use of EEG input. Recent studies have shown that BCI-controlled orthoses or functional electric stimulators can lead to improvements in motor function in chronic stroke survivors. In this study, the authors recruited 10 subjects with chronic hemiparesis involving the upper extremity for a home-based BCI powered exoskeleton. Previous experimenters had used EEG signals derived from “perilesional” cortex, contralateral to the arm involvement—which means the area next to that affected by the stroke. The problem with use of perilesional cortex was that if the infarct size is large, with extensive cortical damage, the perilesional cortex was not able to produce sufficient EEG signal to power the exoskeleton. To overcome this, the authors used “contralesional” cortex, ipsilateral to the affected arm. 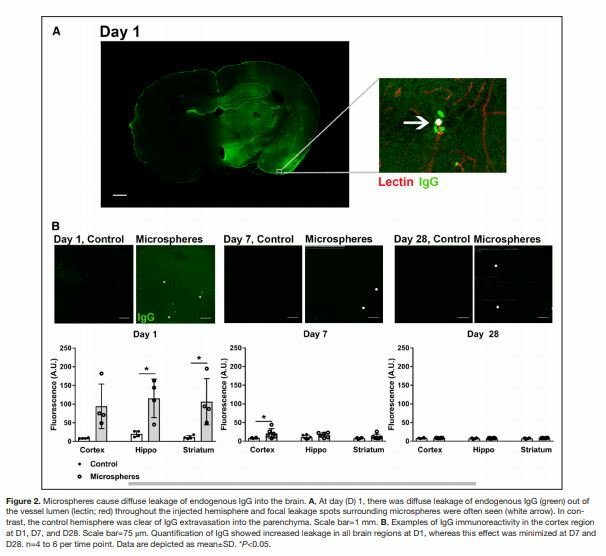 This is the first study to look at the use of the unaffected hemicortex in chronic stroke recovery and aimed to see if plasticity could be triggered. After a stroke, fatigue is a big deal; even my patients who make an excellent physical recovery can be very limited by the fatigue. From my clinical practice, it appears to be very common and often very disabling. So, I was interested to read this interesting review on poststroke fatigue. The prevalence of poststroke fatigue varies depending on different methods used to measure it, but it’s estimated at 40%. It’s associated with a reduced quality of life, so it’s something we should all be aware of. Although it’s more common after stroke, some people who have a TIA also suffer from fatigue. When I first heard about poststroke fatigue I thought it was simply depression, which is also common poststroke. However, only 38% of fatigued patients are depressed, and anti-depressant medication doesn’t seem to be effective.